China State Shipbuilding Corporation (CSSC) has announced that Shanghai Waigaoqiao Shipbuilding has entered into an arbitration process in London with Singapore owner ESSM over the delivery delay of a jackup rig. 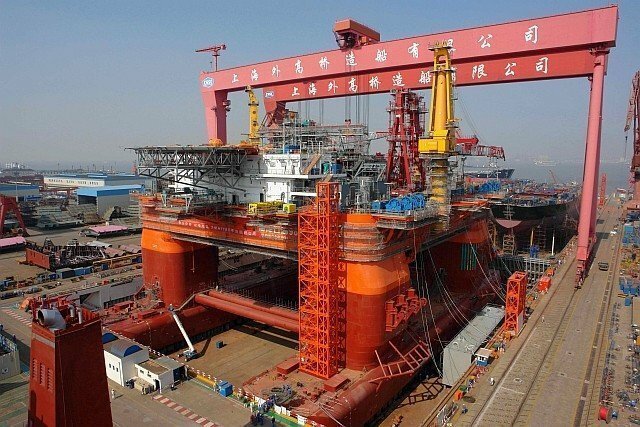 ESSM claimed that Waigaoqiao Shipbuilding was unable to complete the rig within the timeframe stipulated in the shipbuilding contract and requested the shipyard to refund payment and relevant interest of $19.36m in total. ESSM ordered two jack-up rigs at Waigaoqiao Shipbuilding in July 2013 and the first rig was scheduled for delivery at the end of 2015. In June 2016, ESSM terminated the contract with the shipyard due to the delay in delivery. CSSC said Waigaoqiao Shipbuilding is currently actively dealing with the arbitration.